A few weeks back, we discussed the rumors of the 2019 Dodge Challenger SRT Hellcat getting more horsepower than the 707 offered in the current models. Our insiders have indicated that more power could be on the way as Dodge looks to offer more power with the Hellcat than Mustang buyers can get with the new Shelby GT500 and those rumors continue to be a key point of discussion. However, the hottest rumors on the upcoming Hellcat Challenger suggest that there could be performance improvements beyond simply adding more power. The newest rumors of a Dodge Challenger SRT Hellcat Drag Pack are based on a post made on Hellcat.org back in July of 2017, with a bit of random discussion early this year. 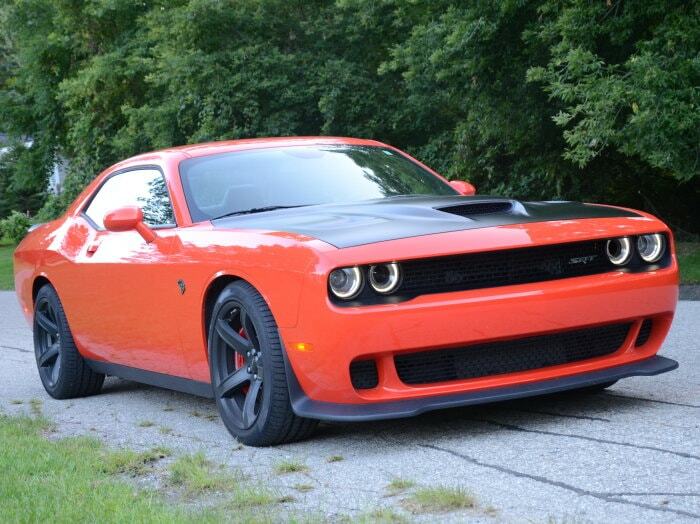 It seems odd that so many people are running with the information in the thread almost a year later, but with it being such a hot topic in the world of social media right now, we wanted to break down what we might see from the more-powerful Hellcat Challenger. While FCA has stated over and over that they will only build 3,300 examples of the 840-horsepower Demon and it will only be offered for the 2018 model year, it seems unlikely that the company won’t use some of the components on other models. The SRT team designed an array of high performance components and those efforts aren’t cheap, so to help disperse the R&D costs, companies use components in as many vehicles as possible. For example, there have been countless spy shots showing the Hellcat Challenger with the huge Air Grabber hood from the Demon, and for drag racing purposes, it would make sense to introduce that item to the Hellcat car. The new 315 Nitto drag radials won’t meet regulations on tire/wheel fitment, but the company could offer a package with some stickier tire than the Pirellis that come on the current Hellcat cars. A set of factory-equipped drag radials seems unlikely after the fuss made about the Demon’s tires, but a summer performance tire that grips harder than the PZeros would be a welcomed addition. Next, and most importantly, the introduction of the Line Lock system, the intercooler chiller and the drag strip suspension settings from the Demon could make the Hellcat a more-formidable foe on the drag strip. It seems highly unlikely that they would include the TransBrake system, as even the Demon’s stock Nitto drag radial tires aren’t enough to handle the added launch torque, it would be nice to see Dodge include the Torque Reserve system for those owners who want to put stickier tires on their supercharged Mopar muscle car. With a simple street tire, the Torque Reserve system is only going to make the Hellcat a better burnout machine, but with a good tire, leaving the line with a little extra torque could make a stronger Challenger a stock mid-10 second car in the right conditions. While we don’t know for sure what Dodge has planned for the 2019 Challenger SRT Hellcat, it seems very likely that we will see at least a little more power. It also seems possible that we could see a Hellcat with more high tech track features like the intercooler chiller system and the drag strip suspension, but I would be shocked to see another factory-equipped drag radial tire package or another car with a stock TransBrake. In the long run, I hope that all of these rumors are right, as they forecast another exciting model year for the Dodge Challenger in 2019.